The Soap Opera Effect, also called Motion Interpolation or Frame Interpolation, is a form of video processing in which artificial animation frames are generated between existing ones by means of interpolation in an attempt to make the animation more fluid and to compensate for display motion blur. 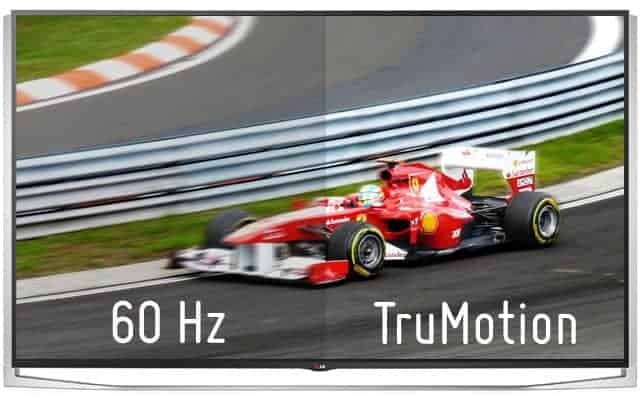 You probably bought a new TV and you’re wondering why movies look so hyper-real with ultra-smooth motion. You are sure that something is happening with the images shown on the TV that you don’t like, but you can’t figure out what? Chances are you are seeing something which makes everything on your TV look like a cheap soap opera; this is thereby referred to as the “Soap Opera Effect”. The Soap Opera Effect or SOE for short, is actually a feature of many modern televisions. It’s also called “motion smoothing”, “motion interpolation”, or “frame interpolation”. 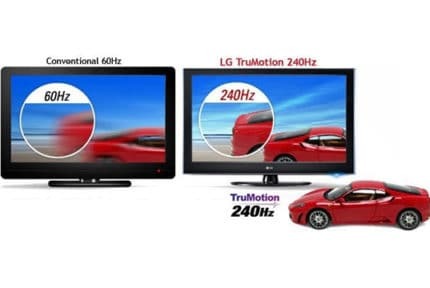 Different TV manufacturers also have their own proprietary terms for this technology such as LG’s TruMotion. It’s a matter of preference, actually. Some people don’t notice it, some hate it and some people like it. Mostly though, people seem to hate it, because it feels somewhat artificial and unfamiliar, as we’re not used to watching TV with such a high frame rate shown to us. How Does Motion Interpolation Work? It was developed to help decrease motion blur on LCDs, as this is a big issue with this type of panel. Motion blur means that any object onscreen, which is in motion will be less detailed (blurry) compared to that same object when stationary. This is why LCDs with higher framerates (120Hz, 144Hz, 240Hz) were developed. In order for these types of displays to be most effective, they must insert new, real frames in-between the original frames. Thanks to their advanced processors, modern TVs can “guess” what is happening between the frames in the source footage. These new frames are a “hybrid” of the frame before and the frame after. Motion blur will be greatly reduced by using this technique. Depending on the TV model, motion smoothing can be enabled at 30FPS, 60FPS, and 120FPS. At 30FPS motion smoothing, the content with 30 or less FPS (Frames Per Second) gets interpolated to show 60FPS whereas 60FPS interpolation gives you the image with 120 fake frames per second and finally, 120FPS interpolation gives you 240FPS. Most movies in Hollywood are filmed with 24p (24FPS), and this is where a problem occurs. The cadence of film and the associated blurring of the slower frame rate’s image is linked to the perception of fiction. Even if this perception seems grandiose – the “look” of 24FPS is expected with movies and fiction TV shows. Even though the TV and movie industry mostly don’t use film anymore, the new digital cameras are set to record at 24FPS, because that’s what the audience expects. The Soap Opera Effect messes with this cadence. Creating frames in-between the 24 original frames makes the movie (24FPS) look like a soap opera (30/60FPS) and this is something that many viewers don’t like. For gaming and certain fast-paced content such as sports, the content will have better detail with motion with very minimal side effects. However, the motion smoothing can also introduce additional input lag which many gamers won’t find worthwhile. 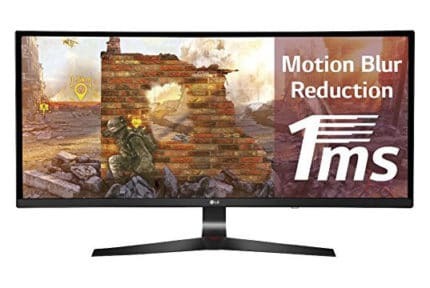 How To Find The Motion Smoothing Feature On Your TV? Luckily, nearly all TV companies allow you to disable the SOE, and most of them also allow you to adjust its intensity. 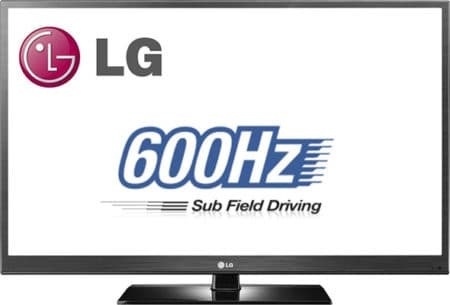 TV manufacturers have implemented motion smoothing techniques into the circuitry of plasma displays too. Plasmas generally don’t have an issue with motion blur, so motion smoothing is largely redundant. What happens inside a plasma TV that uses motion smoothing techniques, is that it creates new frames to insert in-between the film frames, just to make the film smoother. Panasonic calls its version of this Cinema Smoother. You can find it in the menu under “Motion Picture Setting”. Frame interpolation allows displays to show a smoother motion than what was originally filmed by creating artificial frames in-between the original frames based on the previous and next frame. If you don’t like it, you can just turn it off and watch movies like you’re used to. You would possibly want this setting on when you’re watching sports or other 30FPS, 60FPS, and 120FPS content.